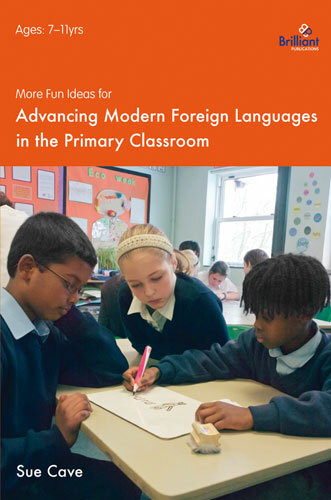 More Fun Ideas for Advancing Modern Foreign Languages in the Primary Classroom contains 77 activities for use with pupils who have been studing a new language for a while and are ready to progress beyond learning simple vocabulary and phrases. The fun activities support the Year 5 - 6 objectives of the Key Stage 2 Framework for Languages. They are suitable for most languages and for a wide range of language topics. The inherent rationale behind each activity is that it is enjoyable and interactive, challenging children's understanding of the language and furnishing them with a purpose to their learning. With activities ranging from Human Alphabet and Foreign language detectives to Secret signal and Be the teacher, you will never be stuck for ideas. More Fun Ideas... has been developed for use with children at primary school who are learning any foreign language (including English as an additional language!). It would also be suitable for use with lower secondary school pupils.